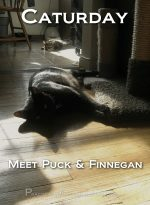 It’s time for another Caturday post at Practically Functional! For animals that are supposed to be super clean, our cats make the biggest mess ever in their litter box area! It’s ridiculous; somehow they manage to track pounds of kitty litter out of the box and into the rest of the house. It’s like magic! Horrible, dirty, mess-making magic. It kept bugging me cuz I’m a bit OCD, so I did something about it! 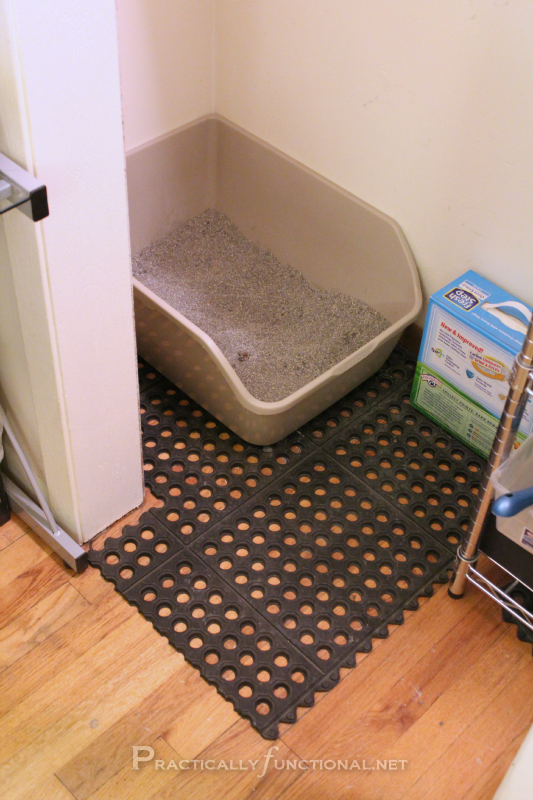 I went to Home Depot and bought a few rubber garage tiles with giant holes in them and put them down under the litter box instead. My hope was that the litter would get caught in the holes and not tracked out past the mat, and it totally works! So even though our cats are exceptionally messy, all the litter they kick out of the box just falls down into the holes in the mat and patiently waits for me to vacuum it up one day. Perfect solution! And the vacuuming is easy; just remove the litter box, lift up the mat, and vacuum up all the litter. Simple! 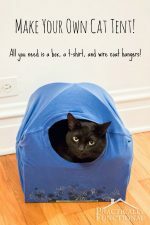 Do you have extremely messy animals? Have you used garage floor tiles for some other fun or crafty purpose? They’re so cool and useful; I imagine there are tons of things you can do with them! Ugh yes, that’s what I was doing! (Vacuuming every day) This totally helps and I vacuum about once a week now, but that’s just cuz the rest of the house gets gross and I have allergies. The litter area only needs vacuuming about twice a month now and it’s awesome! I have messy kitties too! I bought a litter box with a lid on it thinking that would solve the problem. No such luck! I’m gonna try your idea. Thanks for sharing! Found you via It’s Overflowing. I am doing this! What a fantastic idea! What a great idea! I never would have thought of that! I really need to try this out! Great idea! Our litter box is in the basement on an end we don’t use much. I hate it when I go over there and there is litter crunching under my feet! I’ll have to try this! Thanks for the tip. Yeah, stepping on the litter is the worst! Even when I’m wearing my slippers…ick. THANK YOU! I have the same problem, I tried the shelf liners that are meshy and it helps but only catches maybe 60% of what my Felis catus tracks out! Gonna try this next payday! Thanks again! You’re welcome, I hope it works as well for you as it does for us! Oh, I’m definitely going to give this a try! We bought a “Clever Cat Litter Box” from Amazon, which did help reduce the stray litter, but one of my cats likes to LEAP out of the box which kind of defeats the top-entry purpose. 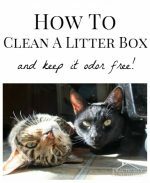 This would help, and I love that the litter would sit there waiting for me to clean it. Thanks! Haha, that would defeat the purpose! I don’t think our cats leap out of the box, but somehow they still track about half the litter out…it’s confounding how they manage it! I am trying to follow you and I can’t up top. I found you on Take it on Tuesday. 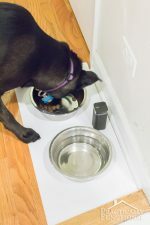 Great post about hte litter and ipad cover. Love for you to stop by and follow back. Let me know and I will return the follow. Brilliant! I’m pretty sure our cat actually plays in her litter box and can shoot the litter pretty far distances! That corner of the basement is like walking on gravel in bare feet if you don’t stay on top of it! I’ll definitely be on the lookout for this style of rug. Haha! We found ours at Home Depot in the “Garage Flooring” section. They have tons of those nice cushy rubber mats for standing on, and then a bunch like this with holes in them for leaky cars or something. I don’t know what the actual purpose is, but it works great for cat litter! caturday…tee hee…stopping by from romance on a dime hop….thanks for sharing! This is a great solution! Thanks for sharing at Romance on a dime! We have messing cats too. The 2 older ones will NOT use a covered box. I am going to stop by HD today! I’ll definitely try this! Thanks! What a great, simple solution! We have two Siamese cats and yes, the litter does get everywhere! If we’re talking messy pets though, our little, nine-pound dog wins. In hot weather, she likes to dip her front paws into her water dish and splash! Water goes everywhere! Haha, that’s hilarious about your dog! This is a terrific idea!! my cat is the MESSIEST thing ever! I believe she does it out of spite! I have dogs, and she HATES them… so she kicks the little out the back, not even a lid helps! I am gonna try your idea! Got any idea for cat teeteeing outside the box? again, she does it out of spite.. as long as we keep her in the back of the house (away from the dogs) she will not do it, but let her in the house to mingle with the family, and she runs to the corner to teetee! Hi! Visiting from a link party. Ohh.. this is a great idea! I hate the little kitty tracks that my cats leave when they exit the cat box. Im going to have to try this.. thanks for the tip! Thanks for the invite Kelley, I’m all linked up! Thanks for the tip! I am totally going to try this. Very clever! It’s hard to outsmart cats! Lol! Great Job! Thanks for sharing at Freedom Fridays. Haha I was just thinking about this the other day because we just got a kitten and she loves her litter box cleaned every day, but has a huge mess around it. I will most definitely think about doing this. Thanks for sharing! Haha cats. We have 3 kitties and two litter boxes…I have shoes that I will only wear to clean the litter because of the mess around the boxes. I don’t want to be tracking it through the house, too! The rubber mat looks like a good solution! The cat is tidy. It’s the litter box cleaner person/thingy that is messy! We have two boxes — one is automatic and the other is moi for cleaning. No matter what there is always litter all around the box. I think this might be the solution for the messy cleaner problem too! Great idea! Thanks so much for linking on Busy Monday at A Pinch of Joy! This is an amazing idea! Our litter box is in our basement which functions as a playroom, exercise room, guest room, etc. and since it’s the coolest place in our house during hot weather, we spend a LOT of time down there. I HATE walking through litter all the time! We put an extra piece of carpet next to the litter box thinking it would help catch some of it but it really doesn’t do enough. I’m going to find some of these rubber mats & try it out! Thanks for sharing this idea! I should really try this. My cat’s litter box is in the hallway and she gets litter everywhere. I bought a mat to put underneath it, but it really doesn’t help as much as I thought it would. I found you on the Under the Table and Dreaming blog hop! Thanks for sharing your wonderful idea! This is a great idea. I am going to share with my MIL since she has 2 cats. Our Willow is a sloppy water drinker when whe drinks so we have a small piece of carpet backed with rubber to help with the drips and spashes. Thanks for sharing on Tout It Tuesday. Hope to see you again for tomorrow’s party. Messy is putting it mildly! Ours is so messy when she eats. She will sit in front of the bowl, put her paw in it, like it off her paw, spread some on the floor then repeat. We’ve put a big mat under her bowl, but she insists on spreading it on the floor…Not happy. Oh my goodness, this is genius! Thank you so much for sharing! I can’t wait to try this out. Thanks for sharing! I have two messy cats in my house too, the litterbox has always been a problem. Maybe this could be our solution also cant wait to try it out! I actually had to make it a chore that someone in the house had to sweep around the litterbox everyday (ugh). This is a wonderful idea and just wanna say than you.Keep up the great ideas!! I. am. so. doing. this!!! Thanks! OMGosh!!!! My cats are the same!! Currently we’re staying with my mother who has 2 cats and I have 3 so I can’t exactly pin point the culprit ~ but another thing that drives me batty is the fact that every-single-one of them will somehow bypass the whole mat to begin with!!! I have actually bought 2 to out-smart them but NOPE!!!! They still seem to drag cat mess through-out the bathroom AND the rest of the house!!!! BLAH!!! Awesome!! Adding this to my to do list! Great idea! I’ve got a few mats around mine, but like you said, they don’t do anything. I will have to try this!! Thanks for sharing your ideas,I have the same messy problem with my kitties3. I am going to try your brilliant idea! happy to hear this works great for you too! Four cats, two dogs, three birds and a hamster. I guess that means I’ll continue to vacuum regularly. In the meantime, however, I love, love, love your tip for the litter box. I confess that I let it stay messy enough because I get so frustrated. I am headed to Home Depot tomorrow! Thanks so much! Jessi, I just wanted to say thanks again for sharing this tip. The very next day after I read your post, I headed to my own Home Depot and bought one of those mats. It was such a perfect solutions. 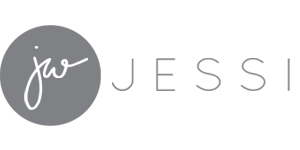 I wrote a blog posting linking back to you to share it with my friends. (It is scheduled for Wednesday.) Thanks again! I love this series! I do a series of my own – Simplistic Saturdays – that were supposed to be a picture of relaxing on Saturdays but let’s be real if I’m not out and about on a Saturday, it means that I’m home with my cats. I so wish I had thought of the Caturday tag instead! This is an excellent idea, by the way. I use an “outdoor” rug that is supposed to sit by the front door and it works for the stuff they track out on their feet but not so much for the stuff that goes flying when the little one can’t control herself while playing. I may have to try this instead, only paint it to match the appropriate room! Thanks for the idea. I finally got around to doing this! Finding garage tiles with holes in them was harder than I expected and the only floor mat in a similar style that I could find was $30, which was more than I really wanted to spend right now, especially since I would only need to use about a third of it. I mentioned to my mom that I was looking and she suggested I try an entry mat from Target. Perfect! It’s has more of a design to it (which isn’t a bad thing in the bathroom) and is still made out of black rubber. I give it a light coat of white spray paint – making it appear more grey, which blends into my bathroom floor more – and it looks great. Plus it only cost $12! Best part about it? You’re totally right that it works. The litter box is on the floor right next to my sink and I was sick of standing in leftover litter while getting ready every morning. Problem solved! Not a good idea, unless you put a piece of heavy clear plastic under the mat. The holes in the mats may cause you more work than you want. Cats do not always hit the litter box with their urine or feces, even with high back litter boxes. If urine falls into any of the holes on the mat, it may stain the floor, and the odor will not go away, even after cleaning. Also, urine may sink into the mat, so always check for accidents and thoroughly wash any mats used around the litter box area. Cats can smell urine very well, and will pee anywhere they smell urine, because to them, it’s okay to go where others have gone before………….. Wow!!! I never would have thought of this- no more hard to clean, expensive, pet-store mats for us, thanks! I’m tired of my 2 boys tracking litter all over the house (I use S’wheat Scoop and while it is better for the kitties and flushable, it tracks HORRIBLY) so I’m going to try picking up some of these tiles tomorrow. I think I’ll put one of those puppy pads underneath it in case one of the boys misses his target. Fabulous idea, thanks! A puppy pad is a great idea, I hope it all works out for you! I have checked both Lowes and Home Depot for these mats with holes and can not find them anywhere. Any suggestions on where else to look? Thank you! Bummer! I got mine at Home Depot, so other than another hardware store somewhere, I don’t really have any great suggestions… 🙁 If you want to buy the exact same one I used and you can’t find it in the Home Depot store, you can find it on their website here: http://www.homedepot.com/p/t/202567026?catalogId=10053 Or there is a cheaper version of a similar mat here: http://www.homedepot.com/p/t/100648174?productId=100648174 Hope that helps! Hi! Can you please tell me the brand/store of you litter box?? Its the perfect, high-walled size for my multi-cat (and large at that!) home! Thanks! Hi! I’m so glad I saw this on Pinterest! I live in a small apartment and the litter problem is amplified because of our small place. I opted for a heavy duty rubber door mat with holes 18×30 because the 36×36 is way too big for our space. I’m really hoping it works!! Also I went to lowes and Home Depot looking for the large one. They carried both. HD wanted $25 while Lowes wanted $22. I found both in the flooring departments. Also, my two kitties look just like yours!! Too funny. So glad the mat works for you! We’re in a pretty small apartment too, and it’s really a lifesaver for us! I don’t have any kitties – but 5 kiddies 🙂 We live on a farm and my “mud room” entry doesn’t always catch all the dirt. This is a great solution for a mudroom floor as well because it keeps dirt from being tracked farther into the house. Clean up is easy, like you mentioned, just vacuum the dirt up. You might want to repost as a functional mud room solution to inspire others without the kitty litter mess. Smart idea! We live in a tiny second floor apartment right now, so I can only dream of having a mudroom… But when we do I’ll probably go buy another mat just like this one, great idea Brooke! I got a tray from a really big dog crate and my litter box sits in that. The other litter box is a box resting inside a a sweater box. It helps but neither really stops the litter. I am going to try the mat inside both. Ah, you’re so smart!! We have three little boxes in the house and each litter box has one of those Arm & Hammer litter mats, but I still find litter e-v-e-r-y-w-h-e-r-e! I’m definitely going to invest in some of those instead!! They work so well! You just have to remember to pick the mats up and vacuum under them every once in a while so they don’t get too full! I LOVE this idea! Definitely going to try it. We keep the litter box in between the toilet and the wall, which is a perfect fit, but unfortunately that means that litter gets into the ceramic crevices of the toilet down there. Do you have any suggestions for how to prevent/clean that? 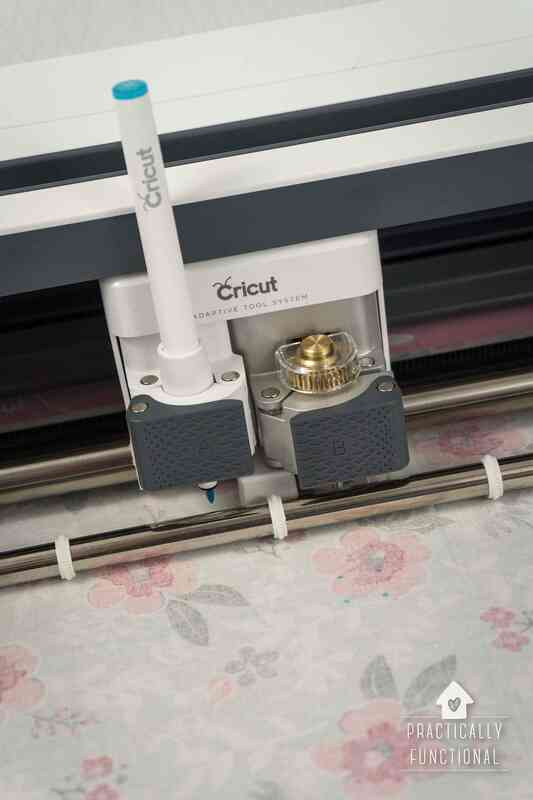 Can you use a skinny vacuum attachment tool to vacuum up the litter from the crevices? I just found this post again via Pinterest. I remember reading it a few years ago. How is this holding up for you? It’s working great! We have since bought a house and moved into it, and we still have the same setup in the new house, and it works great! Omg! That’s an awesome idea! We recently took in a young stray. We have one other cat who is elderly and she is rather neat,for a kitty. But this new one, man he can blow up a litter box like nobody’s business! I swear he’s part horse!! And messy! He managed to get cat litter on the ceiling! How the heck did hw manage that one? Tried using lines. He thinks their his personal scratching post. I’m literally sweeping three times a day near his litter box. So annoying! Can’t wait to try this idea!